1. In your wallet. 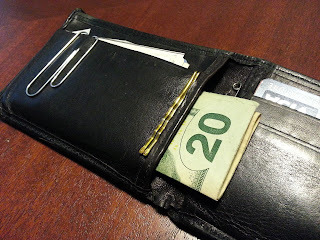 Back in my early teens (or least that's how I imagine it), I figured out that if I stashed $20.00 in an odd place in my wallet it would be there for me when I absolutely, positively needed it. Considering I'm still living in essentially the same financial manner (that is, a allowance based lifestyle),this technique is still a winner. 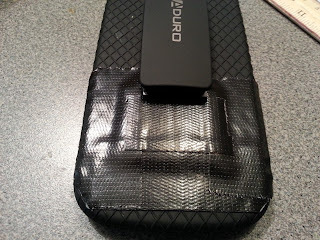 Of course, when a bad guy steels your wallet, there goes your $20. 2. In the back or a spiral 3x5 notepad. I love my little notebook, and of late I've found that I can binder clip $20.00 in the back without adding any noticable bulk. 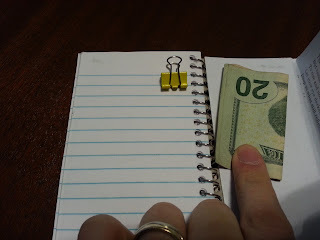 The binder clip ends up serving as a bookmark once I get part way through using the pad. 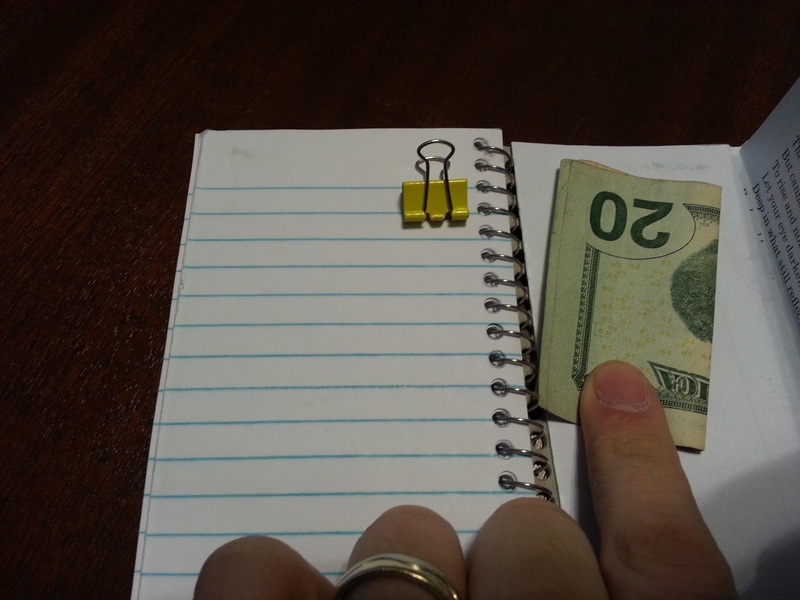 In this case, I've wrapped the $20.00 bill in a poem, so I've got cash and something to read on me at any time. 3. 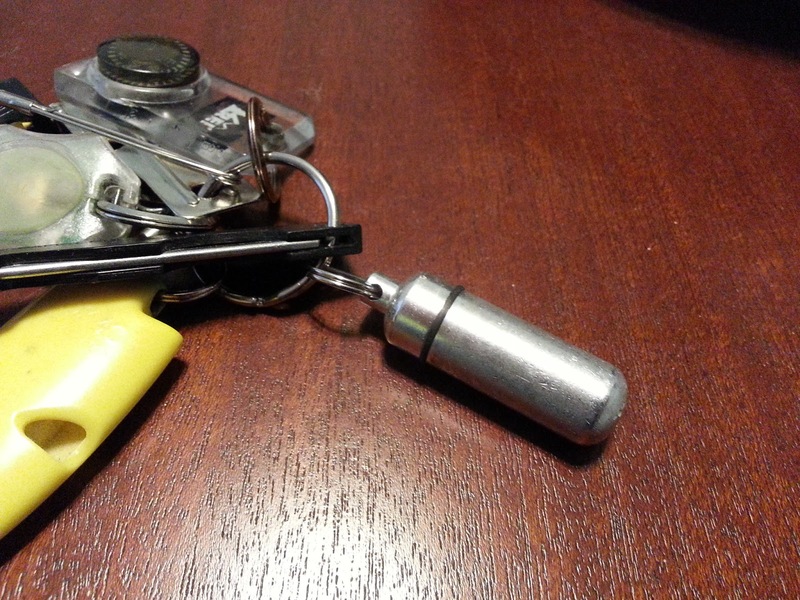 On your keychain. 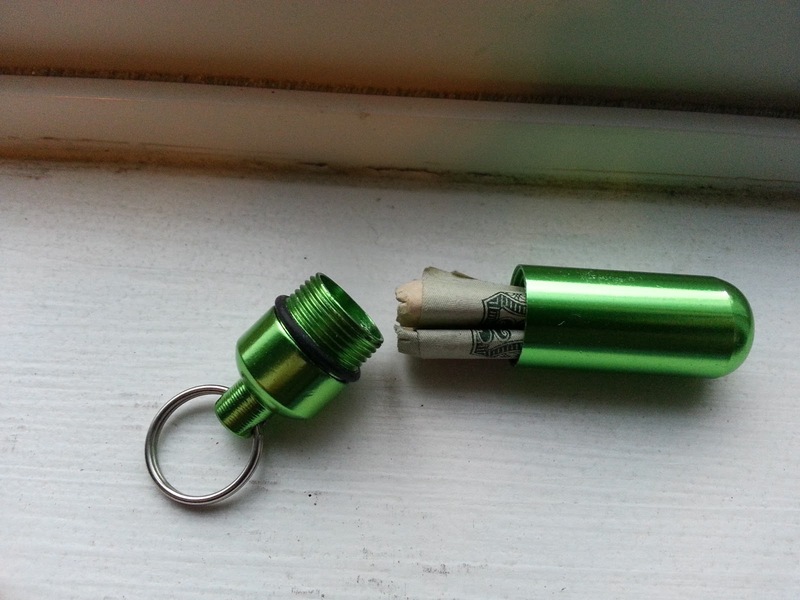 A about $1.00 a piece these little spy capsules are great. They'll fit a $20.00 bill perfectly, so as long as you've got your keys, you know you've got a little cash. Personally, I carry a Benadryl (damn you cats your allergic properties!) and some migraine medication for Shira in the one I have on my keychain. 4. In the bottom of an Altoids Tin. 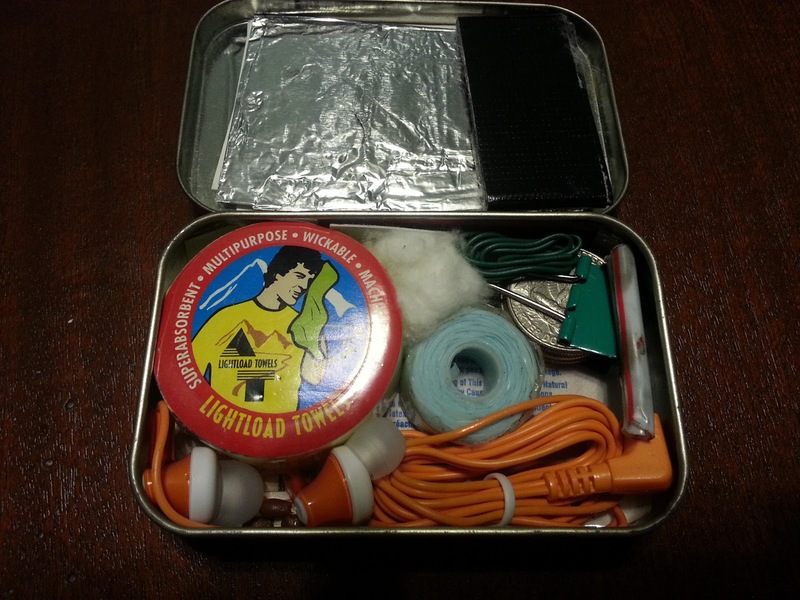 If you're going to carry around an Altoid's Tin full of goodies, it's super easy to put a $20.00 bill in the bottom. You'll still have plenty of room left for other chotchkies, though most won't be as useful as that skinny little piece of paper. 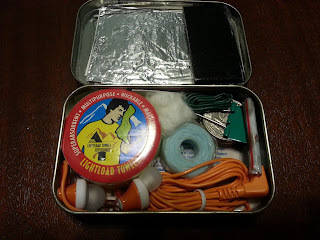 You can find the full listing of what's in my Altoids Tin (my so called "Urban Survival Kit" here. 5. Duct Taped to the back of your phone case. I usually run with my phone, and like the idea of having a few bucks on me when I do. 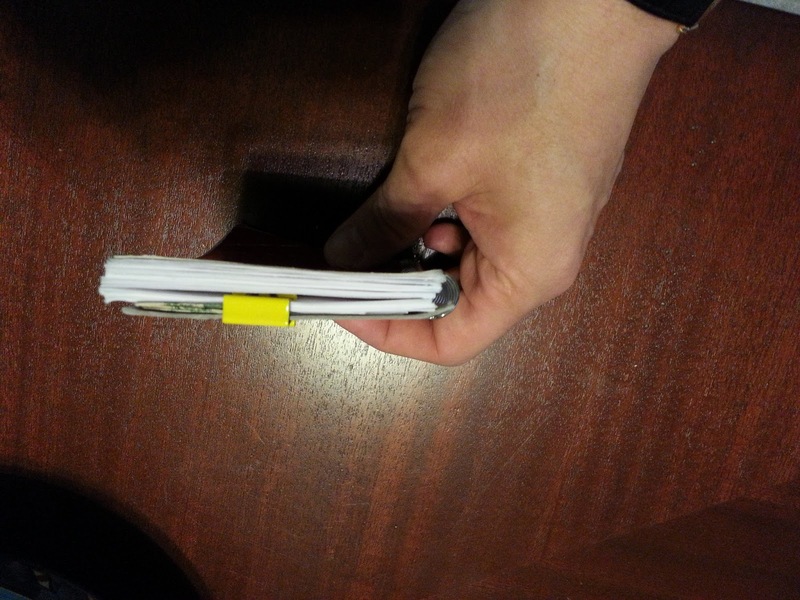 I cut out a small piece of notebook paper just a little bigger than a folded $20.00 bill and taped the whole mess to the back of my phone's holster. It's not much to look at, but you can't see anything when I'm wearing the phone. Now as long as I don't lose my wallet, keys, notepad and phone all at once, I should be able to tackle most of life's challenges. Assuming that life's challenges can be solved with $20.00. Where's your favorite place to stash a little extra cash?